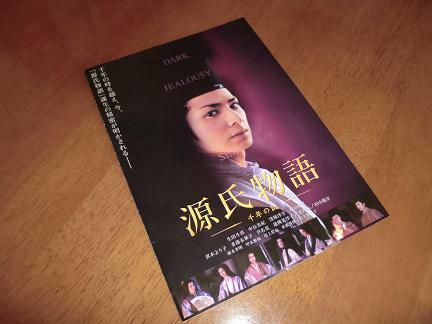 I went and see the movie "Genji Monogatari" (The Tale of Genji) the other day. It's said that it's the greatest love story in the world's literary history. However, a movie is a movie. It was different from the original. 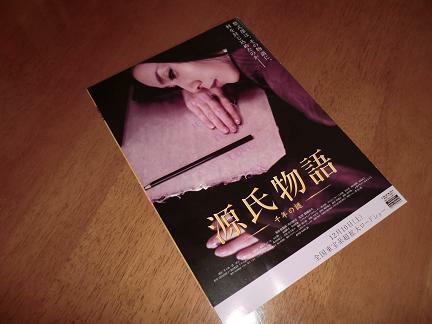 It was made from the perspective of what impelled Murasaki Shikibu to write "Genji Monogatari". I didn't agree with the idea, but I enjoyed it as a work of entertainment from the beginning to the end. Whenever the noblewomen wearing gorgeous kimonos moved, there was a rustle　in the movie. The rustle had me imagine noble people's luxurious life. Probably, everybody would look good when they put on more layers of gorgeous kimono. Oh, no, this is common person's envy toward the nobility. Noble people in the movie were all handsome and beautiful women of today. Only the Emperor Kiritsubo's first empress, "Kokiden no Nyogo," performed by actress Shigeru Muroi, had a typical face of the Heian era. 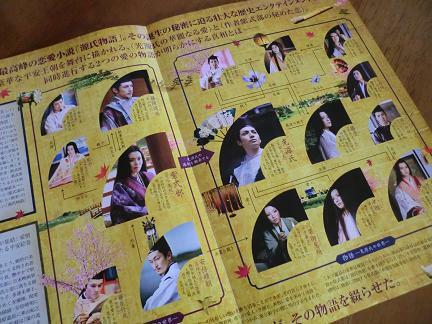 Her role was to be unkind to Hikaru Genji's mother(Kiritsubo no Koi) who was loved the most by the Emperor Kiritubo. Well, to be honest, I've never read "Genji Monogatari" because it's too long and there are too many characters. Though I have both an ancient Japanese and a modern version of "Genji Monogatari," I'll first read the modern version. Sad to say, but I'll be tired of it soon.